Puttgarden passenger and car ferry ticket prices, timetables, ticket reservations and information for ferries sailing from Puttgarden to Helsingborg, Rodby Faerge and Spodsbjerg. Compare all available Puttgarden ferry ticket prices in real time and book the cheapest available Puttgarden car and passenger ferry tickets sailing to and from Puttgarden, Helsingborg, Rodby Faerge and Spodsbjerg with Scandlines ferries online with instant confirmation. Book Puttgarden Ferry Tickets with Scandlines for ferries sailing from Puttgarden to Helsingborg, Rodby Faerge and Spodsbjerg online in advance to enjoy the cheapest available ferry ticket price. The price you see is the price you pay. There are no hidden extras or surprises such as added fuel surcharges or booking fees and we do not charge you anything extra for paying with a Visa Electron card. The price we quote you for your selected Puttgarden passenger or car ferry ticket, onboard accommodation and vehicle type is all you will pay, and that's a promise. To obtain a Puttgarden ferry ticket price and book your ferry ticket securely online please use the real time ferry booking form on the left. You are also able to add a hotel at your destination, or anywhere else, to your ferry ticket when completing your ferry ticket reservation. Puttgarden is Germany's gate to Scandinavia. The port in Puttgarden is the most northerly port of Germany, which is served by Scandlines. Every half hour ferries depart from Puttgarden for the Danish port Rødby, the trip takes only 45 minutes. The Puttgarden - Rødby and vice versa crossing constitutes an important element of the Hamburg - Copenhagen route. For those who want to get to Sweden, there is a convenient Helsingor - Helsingborg connection. In 2007 Germany and Denmark decided to build a 19km long bridge from Puttgarden to Rødby, which will be finished in 2018 after which the future prospects for the Puttgarden ferry port are uncertain. The city of Rodbyhavn, which is also called Rodby, is a nice destination for a day trip. The Puttgarden ferry is a popular means of transport to Denmark as every tourist can take along his car. Puttgarden station is a major ferry terminal on the Vogelfluglinie (bird flight line) on the island of Fehmarn in the German state of Schleswig-Holstein. It lies between the town of Puttgarden and Marienleuchte. It primarily serves the needs of international long distance traffic, but since the reintroduction of regional traffic on the line it is again of regional importance for Fehmarn. In 1961, a large ferry terminal was built in Puttgarden and in 1963 it was put into operation together with the Fehmarn Sound Bridge, because the traditional ferry from Germany to Denmark between Rostock-Warnemünde and Gedser was at the time beyond the Iron Curtain, and the replacement route from Großenbrode Quay to Gedser was too complicated. The ferry terminal was opened on 14 May 1963 by the Danish King Frederik IX and German President Heinrich Lübke. The station was very important from the beginning, since a large proportion of rail freight and passenger traffic was shipped to and from Scandinavia via Puttgarden. This is shown by the large and, since the end of freight traffic on the bird flight line, almost completely idle network of rail tracks. A EuroCity leaving ferry.After the completion of the bridge over the Great Belt in Denmark in 1998, most trains run for financial reasons over a lengthy detour by that route because of the limited track capacity of the roll-on/roll-off ships and to avoid the associated shunting. Freight through the rail yards at Puttgarden was initially partially closed and then closed completely. Simultaneously with the closing of freight traffic in the period from 1996 to 1998, the ferry terminal was modernised by the shipping company Scandlines. In 2007, the station was completely modernised, including the provision of level access even to the unused platforms along with glass, automatic exit doors and a modern toilet facility with toilets for the disabled. The final stage of this work was the reconstruction of the platform, significantly shortening and slightly raising the platform, and the equipping of the station with a modern lighting and sound system. The former locomotive-hauled EuroCity service from Hamburg to Copenhagen were replaced in the 1990s by a three-carriage Danish IC3 multiple unit, which can be coupled and uncoupled without any shunting. Since December 2007, some of the IC3 services have been replaced by German Intercity-Express services operated by class 605 (ICE-TD) diesel multiple units, together providing several services each day on the Copenhagen–Hamburg route. One pair runs to/from Berlin. In August 2010, the Burg on Fehmarn station was reactivated, and is now called Fehmarn-Burg station. Until December 2010, some services of Intercity line 31 to/from Frankfurt began and ended in Puttgarden. Since the completion of the Great Belt Fixed Link in Denmark, the route via Puttgarden has become less used by trains, but the harbour is still used by Scandlines ferries. 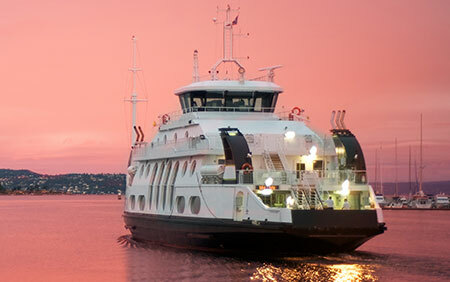 The service is frequent, with four ferries giving one connection every 30 minutes, 24 hours a day. Whether for a short trip or a longer stay the Baltic island Fehmarn has some surprises: milelong natural beaches, small lakes and impressive steep cliffs. But also the fields and meadows invite people to hike and bike. Puttgarden in the north of the island is a popular holiday destination and an important international junction as well. If one stays a few days or even weeks in Puttgarden he will never be bored. On Fehmarn’s beaches the tourists can recover from daily life and the children can frolic and build sandcastle after sandcastle. Sailboarding is a popular leisure activity. History enthusiasts can visit the Peter & Paul Chapel. A visit of the 115-meter-high tower of the German Telekom is interesting as well. Best Price Guarantee - We always offer you our lowest available Scandlines passenger and car ferries ticket price to and from Puttgarden. There are no hidden extras or surprises such as added fuel surcharges or booking fees and we also we do not charge you anything extra for paying with a Visa Electron card. The price we quote for your selected Puttgarden ferry ticket, onboard accommodation and vehicle type is all you will pay, and that's a promise! In the unlikely event you find the same all inclusive Puttgarden ferry ticket cheaper in the brochure of any other tour operator we promise that we will do our best to beat that price or offer you the choice of requesting a refund. To book Puttgarden car and passenger ferry tickets please click here. At ferryto.co.uk you are able to obtain live Puttgarden ferry ticket prices, check availability and book car and passenger ferry tickets to and from Puttgarden at our lowest available ticket price. Ferryto.co.uk is part of the world's largest online ferry ticket distribution network providing the ability to book over 80 major European ferry operators including to Puttgarden and to over 1,200 other ferry routes throughout the UK, France, Spain, Ireland, Holland, Eastern Europe, the Mediterranean, the Baltic and North Africa.